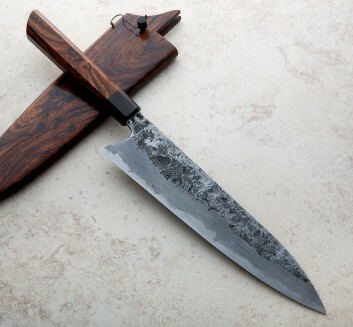 Originally from St. Louis, Missouri, Joseph Schrum is owner and bladesmith at Halcyon Forge based in Sedalia, MO. 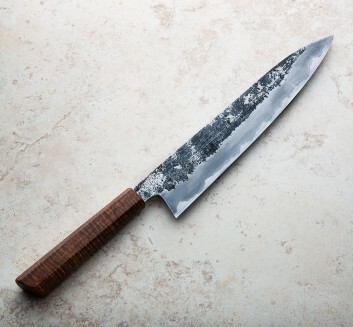 Building one-of-a-kind chef knives from reclaimed and recycled high carbon steels as well as locally sourced, sustainable handle materials, Joe has garnered a passionate following for his outstanding chefs' tools, each knife combining a classic, often organic-feeling aesthetic with superb balance and geometry. 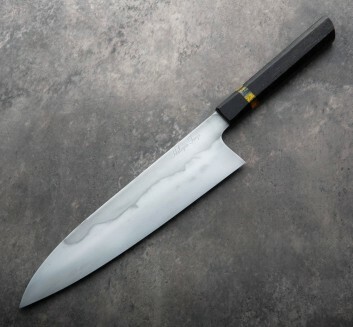 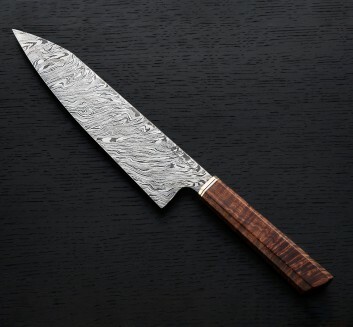 Tall, convex, full-size chef knives are the hallmark of Halcyon Forge's wares and we are proud to represent their work at Eatingtools.